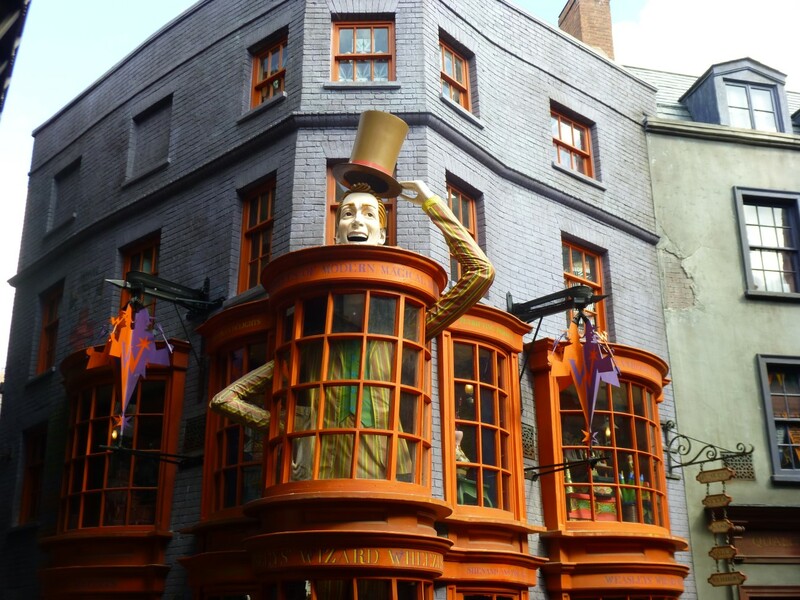 This colourful emporium is the novelty joke shop run by identically ingenious prankster twins Fred and George Weasley. 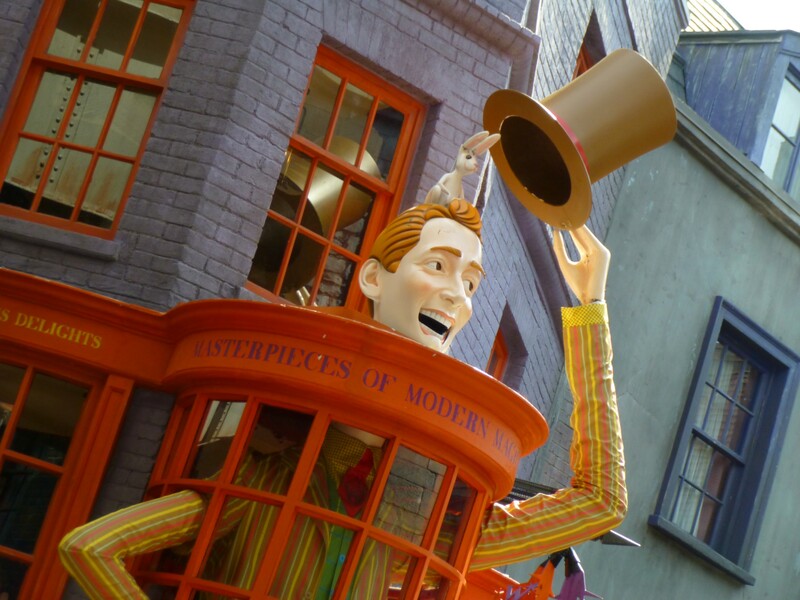 Don't miss the dazzling display of never-ending fireworks exploding at the ceiling as you shop for all manner of mischief such as magical jokes, tricks, and toys including Pygmy Puffs, U-No-Poo pills, Skiving Snackboxes, and Puking Pastilles. You'll also find Sneakoscopes, Bombtastic Bombs, Peruvian Instant Darkness Powder, Decoy Detonators, Extendable Ears, love potions, and more.